Windows 10 Store provides you with some common applications, such as iTunes and Spotify Music. It has become the habit for some users to download software from Microsoft Store. But recently, many people complained that they often run into Windows 10 Store error Try again later, something happened to our end. As for Windows store try that again error, you may get annoyed since Store not downloading application can sometimes occur to you as well. 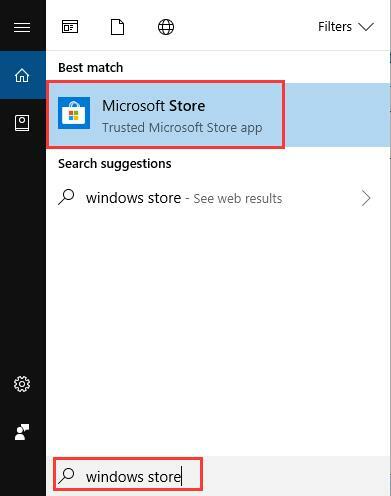 Although sometimes you may also be able to install the applications downloaded before, but not the new ones, or for some people, you even can get the new ones as if nothing happened to Windows 10 store, there is actually something wrong with the Microsoft Store itself. 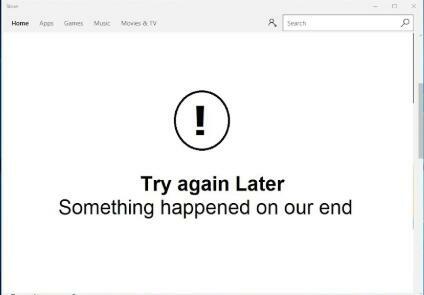 You need to solve this Windows store something happened to our end error if you would like to make better use of the convenience from this tool. How to Fix Windows 10 Store Try That Again, Something Happened to Our End? No matter what is your Windows 10 error with the Store, error code 0x80248014 with the message that Try again later, something happened to our end, or Microsoft Store something happened to our end and we can’t sign you in, you would better take advantage of the ways below to tackle this try that again Windows store error. Now that you are told this issue can be caused by the Store itself, you may as well attempt to update it to the most up-to-date version to see if in the new Microsoft Store application, you will also encounter something happened on our end, waiting a bit might help in Xbox one from Store. 1. Just search Windows Store in the search box and then stroke Enter to open Windows 10 Store. 2. In Windows Store, on the upper right corner, locate and click Downloads and Updates. 3. Then hit Get updates to update your Windows Store application. After that, you can check if the problem that something went wrong with our end Windows Store remains on Windows 10. There is a tool in Windows systems that will help you troubleshoot the error that Windows Store something unexpected happened, try again later. It is Store application troubleshooter, with which you are enabled to solve Windows 10 Store something happened to our end error. 2. 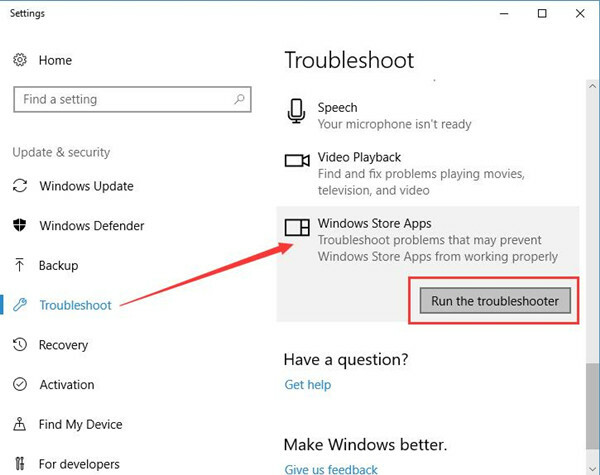 Then under Troubleshoot, find out Windows Store Apps and then click Run the troubleshooter. In this part, Windows application troubleshooter will scan for the issues with the Store. If possible, it will fix try that again, something happened to our end Windows Store error. If not, you are supposed to move on for more ways. Usually, Microsoft Store cache is also to blame for the error that something went wrong with our end, try again later. It is feasible for you to reset the cache for Windows 10 Store so as to get rid of Microsoft Store not working well. 1. Type wsreset in the search box and then press Enter to move on. 2. 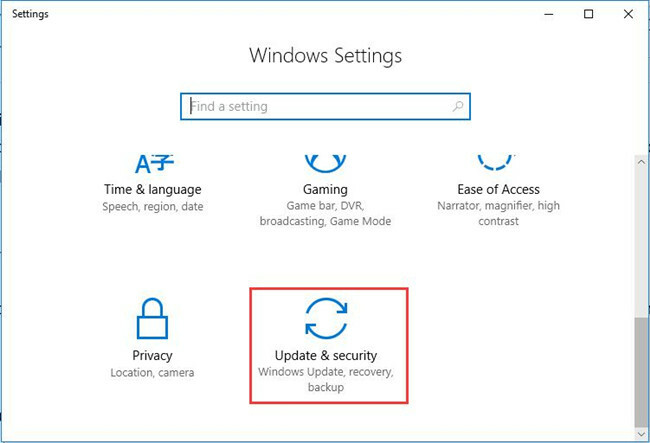 Store cache will be cleared and then you need to reboot your PC to take effect. This time when you try to download or update applications in Windows Store, there will no more try that again, something happened to our end on Windows 10. And maybe you are able to load Store smoothly now. 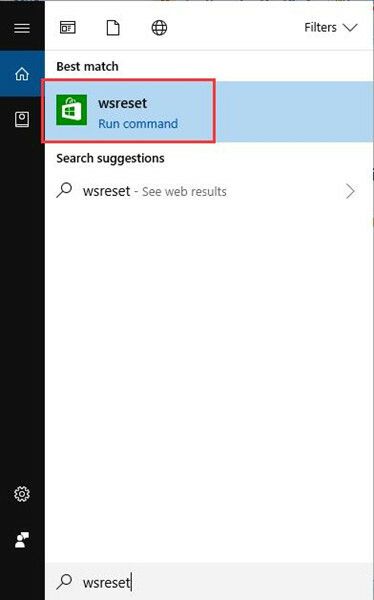 It may seem to be a kind of absurd, but in reality, this can be a good way for you to resolve try that again error on Windows Store. 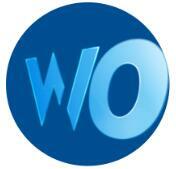 It has been proved powerful for solving this Store app issue. You are supposed to try the following steps one by one and then you can see how your Windows 10 Store something happened on our end be fixed. 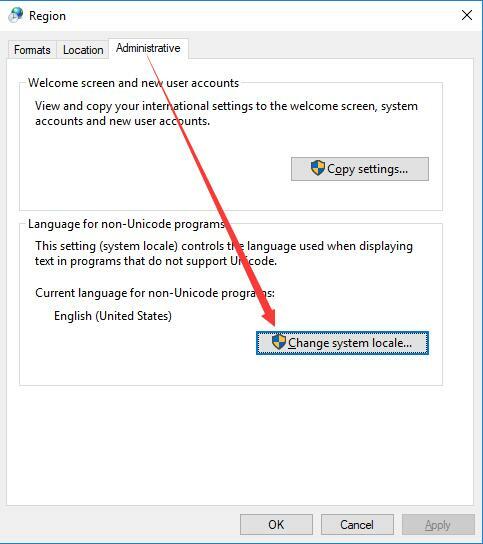 In this aspect, you are to check if the location, language, and system locale formats are matched with Windows 10 you are running on. 2. In Control Panel, under Clock and Region, hit Change date, time, or number formats. 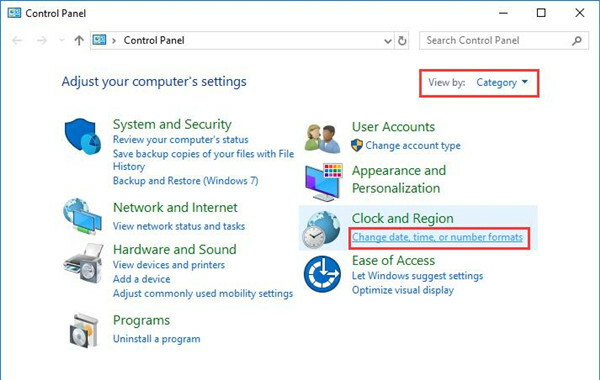 Here if you cannot find Clock and Region, try to View by Category and then you are enabled to notice it easily. 3. 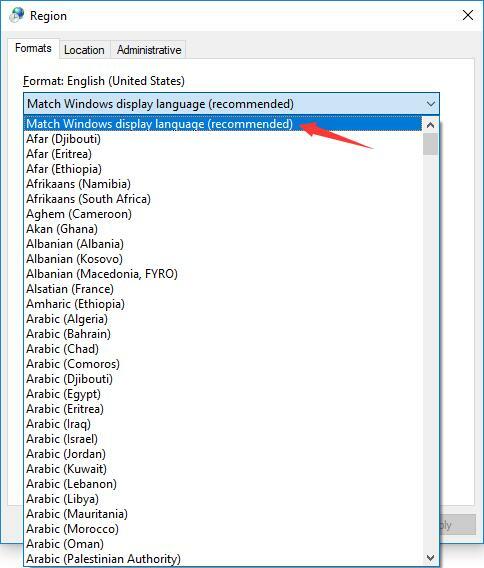 Then in Region window, under Formats tab, choose to set the Region format as Match Windows display language. Or you would better select English. 4. 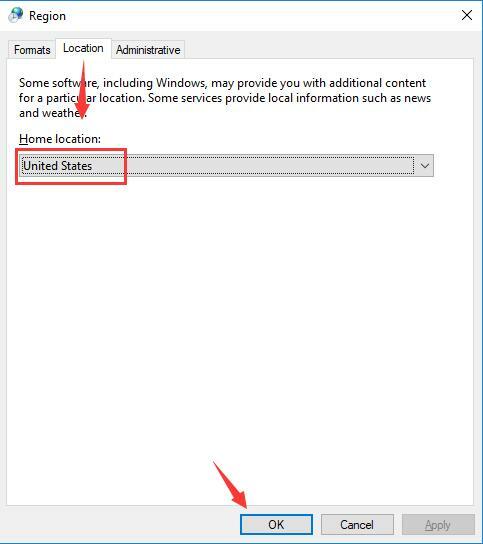 Then Under Location tab, make the Home location United States. 5. Under Administrative tab, click Change system locale. 6. 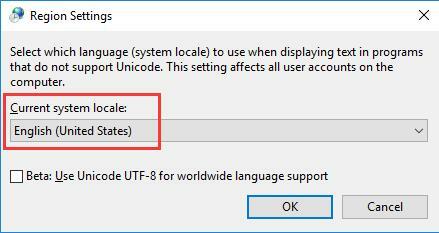 Then decide to set the Current system locale as English (United States). Then hit OK.
After that, you can manage to reboot your PC to take effect. Once Windows 10 is booted again, you can observe that something happened to our end, try again later error disappeared magically. You can also check whether there are any corrupted files on your PC that may cause your Microsoft Store something went wrong with your Store on Windows 10 issue by using System File Checker (SFC). It is capable of detecting and correcting the problematic system files on your computer. You can rely on it to fix this Windows Store app error. 1. 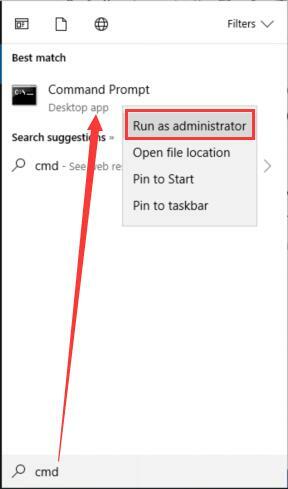 Input Command Prompt in the search box and then right click the result to Run as administrator. 2. Type in sfc/scannow in the Command Prompt and then press Enter to execute System File Checker. Maybe after SFC help you solved the file corruption on Windows 10, you will also no longer see the try again later, something unexpected happened error message. Your last resort is to uninstall all the settings and cache of Store application on Windows 10. It is to re-register this software for your PC. Unless the methods cannot relieve your anxieties, you would not be suggested to take this measure as it will make your Store become the original one without any cache. But if you are determined to use this way, just follow up. 1. 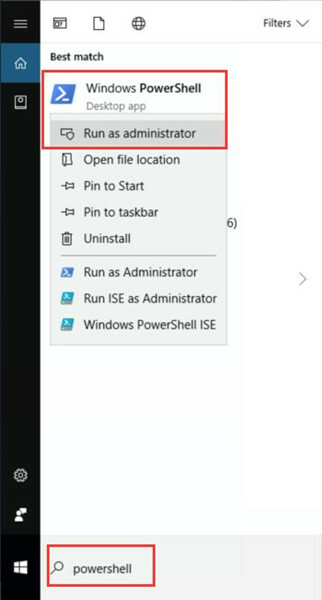 Search Powershell in the search box and right click Windows PowerShell to Run as administrator. 2. Then in Windows PowerShell, copy and paste in the following command and then hit Enter. 3. Restart your computer to make it effective. It is likely that the registered Windows 10 Store will be away from Windows 8, 10 something happened to our end, try that again later. Hope it can help you with your problem with Store application. To make a summarization, Windows Store is firstly introduced in Windows 8, and since then, it has been widely used by users. But the error try again later, something happened to our end Windows 10 store is universal. In this sense, come here for efficient and powerful solutions.